Just passed your driving test? Well done, it is an incredible achievement. Chances are you will be keen to get behind the wheel in a car of your own. However, navigating the way to buying one can be confusing. A car is one of the most expensive things you will ever buy so don’t make any hasty or uneducated decisions. Follow this handy guide to steer you in the right direction. Your first car shouldn’t be about status, rather safety and dependability are key. Don’t rush out and buy the first car you see. Yes, it may be in the color you like, have four wheels and a CD player. It may also be a piece of junk. Therefore take it for a test drive to ensure it drives smoothly with no noticeable faults. It is wise to hire a mechanic to check the car, too. It may cost you a little bit more money, but it will be worth it for your peace of mind. You don't want to drive the car off the lot, and it breaks down an hour later, stranding you in the middle of nowhere. Consider what kind of car you need. If you have a family, it is likely you will need a larger car such as the Vauxhall Astra Hatchback to accommodate everybody. If not, perhaps a smaller car such as a Ford Fiesta or Renault Twingo, both easy to handle and good for maneuvering into those tight parking spaces. As you are a new driver, expect to pay more insurance than somebody who has been driving for a while. Insurance companies consider you to be at higher risk than more established drivers. To keep costs down, buying a smaller car with less engine power will help, as will adding another driver to your insurance policy. If you drive for a year without an accident, the cost of insurance will gradually go down. Always go online and seek out the cheapest insurance options available to you. A new car may cost more, but it will come with the latest safety technology. The warranty will be longer, usually between three to seven years, handy for any unexpected bills. Buying a new car does not need to break the bank. For example, the Citroen C1 is a fun car to drive and comes with free road tax, insurance and servicing for three years. 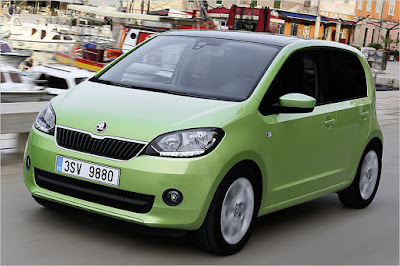 Or maybe the Skoda Citigo which is economical and stylish to look at. Both cars cost under £10,000 and fall into the lower insurance groups. There should be no stigma in buying a used car. The value of a new car soon depreciates so you could pick up a car that is three years old but at 40% less than the original asking price. However, the warranty will be smaller, generally around a year. You should also ask the seller for the car's service history. If it has had a lot of repairs over the years, it may be an unwise purchase. Whether you are buying a new car from a car showroom or a second-hand car dealership, you are looking for the best deal. For the inexperienced buyer, dealing with a salesman can be an unnerving experience. They have an agenda and will be trying their hardest to sell you a car. You have an agenda too, so don’t be put off by their sales speak. 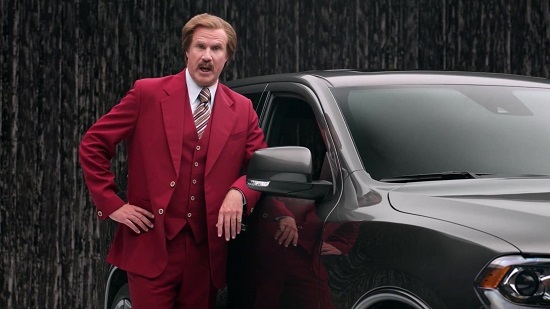 If needed, bring somebody along with you to help fend off the demands of the salesman. Ask the important questions to make sure the car is right for you. Listen to the advice given but don’t be talked into buying something you don’t need. You can be in control as you are a valued person to the salesman. After all, if he makes that sale, it will increase his income. So take as much time as you need, sit in the cars shown to you and if you see anything you like take it for a test drive. If all is going well, you will probably be introduced to the sales manager who will also try to sell you extra gadgets for the car and extended warranties. Know your budget and stick to it. The best way to buy a car is to save up your hard earned cash. Don’t blow all of your money though as you still need to tax, insure and fuel your car. If you can’t afford to buy either a new or used car, there are finance options available. You could take out a personal loan from your bank, which could cover part or the whole cost. Shop around for the lowest interest rates, as there will be more interest on longer loans despite the cheaper monthly payments. To take out a loan you will need to have a good credit score. If you are somebody with no history of credit or have other outstanding loans, you will struggle here. Don't be tempted to take out a loan from a dodgy source. Instead, here is an example website, https://www.approvenow.com/bad-credit-auto-loan/buy-here-pay-here-phoenix-az/ who consider your expected salary as a basis for a loan, rather than your credit score. Another option is Hire Purchase, where you pay monthly installments between one and five years. You own the car after the final payment. Payments can be flexible, but the longer the arrangement, the higher the interest rate. Be aware, if you struggle to make payments with this option, the dealer or finance company can take the car away from you. Personal Contract Plans are an effective and popular way of financing a car. The monthly amounts are smaller, until the end of the plan when the final payment is significantly higher. You do have time to save for this though. Alternatively, you can return the car back to the dealer, or arrange a new finance deal on a new purchase. The bottom line is, make sure you can afford the monthly payments. If in doubt, use an online comparison site to help you make the right choices.